This is pretty much how I have felt for the past SIX WEEKS! I was just getting better then it came back again this weekend. The doctor has told me that the only thing that will get me better is rest - but who has time for rest? Not me! So I am now trying oscillococcinum. Steve swears by it and always keeps a box in his desk, so I am hopeful it will work for me too! According to the Centers for Disease Control and Prevention (CDC), flu activity in the United States has picked up over the last few weeks – 44 states are currently reporting widespread, regional or local flu activity. And as the peak of flu season fast approaches, many of our own households have at least one member suffering from this illness. So while we hope you and your family stay healthy this winter, be prepared to nip those nasty flu-like symptoms in the bud with Oscillococcinum. 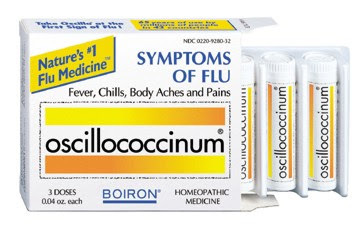 Oscillococcinum (“Oscillo” for short) works best when taken at the first sign of flu-like symptoms such as fatigue, body aches, chills and fever. It has been shown in clinical studies to help reduce both the duration and the severity of flu-like symptoms. Oscillo’s sweet-tasting, melt-away pellets are safe for everyone two years of age and older, and no water, chewing or swallowing is required. Oscillo works safely and naturally without causing side effects, including drowsiness. There’s also no risk of overdose and no interactions with other medications. It claims is also safe on children over the age of 2. I am excited to start taking this and hopeful it will nurse me back to health. Oscillococcinum has offered a free box to one of our readers! Giveaway will be open until April 2, 2011 at 11:59pm PST. Winner will be chosen via random.org and has 3 days to respond to our email before another winner will be chosen. Winner must have a US shipping address. We do not guarantee that this product will help cure any disease. We are only posting this information for information purposes only. We do not endorse this product nor make any guarantees or promises of it's safeness or effectiveness. If you choose to try this product we are not responsible for any reactions, side effects or drug interactions. Take at your own risk. Boiron and Tomoson are the hosts of the giveaway. To reduce flu/colds in our house, we just rest rest rest once the symptoms start showing up! Before you entrust therapy or sickness treatment to homeopathic medicine, I suggest you read up on homeopathy. Homeopathy, in many cases, is almost as good as hoping for placebo effect to take place. "almost as good as hoping for placebo effect to take place" You nailed it. Homeopathic medicines supposedly have active ingredients, but these ingredients are so diluted that they aren't there anymore.